Have you noticed some unusual behavior in your elderly love one? There are many signs that can point to the onset of Alzheimer and Dementia, but you have to first know what your looking for. 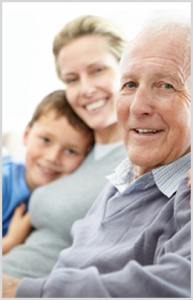 Approximately 65% of Dementia cases are gone unnoticed and untreated. Know the warning signs. If you’re an “at home” Caregiver, Professional Caregiver or you operate a community that cares for individuals with Alzheimer’s dementia, this web site and all of the information and services it provides are here for you. There are over 15 Million unpaid caregivers at home providing care to loved ones with Alzheimer’s and sadly 30% of those “at home” caregivers will pre-decease the people they are caring for. Is it any wonder that there is more time missed in the work place today from elder care issues than from child care issues? Furthermore, in my 15 years as a State Certified Administrator and my 12 years as a Master Trainer of Alzheimer’s care, I have witnessed first hand that many heath care professionals; Doctors, Nurses and Aides don’t have the most basic understanding of Alzheimer’s dementia or how to deal with it. Years ago a client came into my office screaming at her afflicted husband because she was “sick of him embarrassing her in public.” Clearly she had no understanding of how to deal with his illness. Since that day I have devoted myself to educating those important Caregivers and providing them the vital information they’ll need so everyone enjoys a better quality of life. If you or someone you know could benefit from the information provided here; if your staff could benefit from learning from an experienced trainer or if you know of a Club, Group or Civic Organization that would enjoy an engaging and informative speaker, please feel free to refer them to us. We’re Care for Caregivers and that’s what we do.